Could your business be busier? Many salons are noticing bigger gaps in their appointment books, with less people coming in each week. Like it or not, we’re operating in a tighter economy, but if you spend all your time worrying about this, you run the risk of resigning yourself to the same fate. Picture an economy as if it were a circuit board, and money is the electricity that flows around to keep it running. Always remember that although the current economy is now much weaker, the economic machine will never stop running. You just need work smarter to maintain and grow your share by focusing on those key business metrics… and taking action! 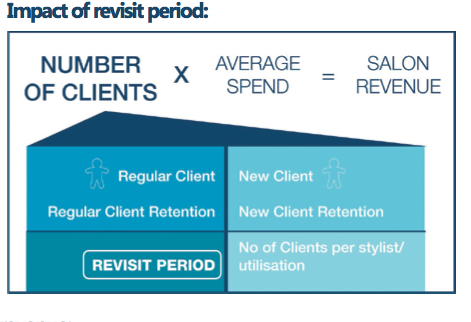 The Revenue Equation: Number of clients visiting X Average amount spent per visit = prosperity for you and your staff. Before spending extra time, energy and money trying to convince new clients to give you a chance, remember that there are countless opportunities sitting in your salon chair every day. I will talk about ideas to improve the average client-spend another time. For now, let’s focus on one of the easiest ways to increase the number of clients who walk through your door each week, month and year with one key metric: your visit rate – and the impact this has on your bottom line. The regularity of your clients’ visits has a huge impact on how busy your appointment book looks overall. Just a small improvement to will make a substantial impact on the success of your business. Next week: Ideas for increasing your client visit rate. Don’t miss it! Article by Jasmine Dickenson, South London Area Sales Manager, Kitomba.